Usability, convenience, safety – these have been our priorities ever since we released the first Trezor and continued to be our goals with the Model T. Of course, we do not just stop short there. This ethos is applied across the services we provide, including the web-interface for the Trezors, the popular Trezor Wallet. Therefore, it is with excitement that we announce the release of Exchanges to the Trezor Wallet today, making the Wallet more versatile and useful than ever before. Starting today, you can seamlessly exchange between different cryptocurrencies without ever needing to leave the Wallet site. The entire exchange process can be initiated and observed directly in the Wallet interface. What does this mean? In addition to the current features like multiple accounts, multi-currency, complete transaction history, sending, and receiving, you can also conveniently exchange coins and tokens directly in your Wallet. 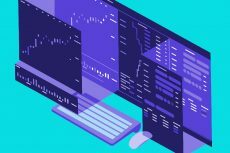 The exchange feature is provided by various third parties; SatoshiLabs bears no responsibility for the process, exchange rates, fees, or functionality. In this initial release, we have decided to cooperate with ShapeShift and Changelly. Trezor Wallet will always operate without KYC, as the Wallet or your Trezor device are not custodial. If the exchange providers decide to enact KYC, registration and verification will be done by them. Your personal information will not be processed by Trezor Wallet / SatoshiLabs, nor will it ever be requested by the company. 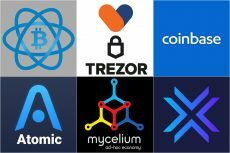 Customer support for exchanges will be serviced by the partners. Please consult our new Trezor Wiki for the guide to the Exchange feature. Changelly is a leading instant cryptocurrency swap platform which acts as a mediator between trading cryptocurrency platforms and users, providing a wide range of digital assets for a seamless exchange. Changelly mission is making a frictionless exchange process for everyone who wants to invest in cryptocurrency. The platform provides its API integration for wallets, other exchanges and platforms to empower their functionality with Changelly exchange features. 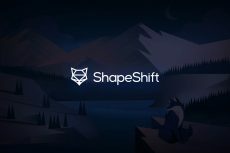 ShapeShift AG is a leading blockchain technology company based in Switzerland. It operates several crypto products including ShapeShift.io, CoinCap, and KeepKey. Its primary service, ShapeShift.io, is a an online marketplace where users can buy and sell digital assets. The popular app enables users to safely trade Bitcoin (BTC), Ether (ETH), Litecoin (LTC) and other major blockchain-based tokens and assets. Trezor Model T is the next-generation hardware wallet, designed with experiences of the original Trezor in mind, combined with a modern and intuitive interface for improved user experience and security. It features a touchscreen, faster processor, and advanced coin support, as well as all the features of the Trezor One. Trezor One is the most trusted and ubiquitous hardware wallet in the world. 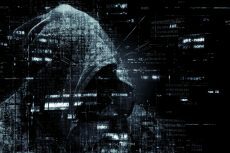 It offers unmatched security for cryptocurrencies, password management, Second Factor, while maintaining an absolute ease-of-use, whether you are a security expert or a brand new user. SatoshiLabs is the innovator behind some of the most pivotal and influential projects with Bitcoin and cryptocurrencies, mainly Trezor, the world’s first cryptocurrency hardware wallet, or CoinMap.org, the primary resource for bitcoin-accepting venues.